Implementing a Dedicated Internet Access (DIA) solution can help your IT infrastructure stability. With DIA you can access your servers quickly via Remote Desktop or configure secure VPN connections, offer reliable VoIp services, run real time Cloud Apps, establish or improve your IT Disaster Recovery Plan (DRP). With Carrierhouse Data Center you can rest assured that you will have non-stop Redundant Connectivity and Symmetrical bandwidth 100% of the time, all the time. Symmetrical internet bandwidth means that you will always have synchronous uploads and download speeds. A fast upload speed can be critical for those customers who have multiple users requiring simultaneous connections to their web based platform or interface. When compared to shared internet connections, Dedicated Internet Access (DIA) has a significant higher response time. Network uptime, low-latency and packet loss prevention is guaranteed with the Service Level Agreement (SLA). Carrierhouse contracts the services of the top Tier 1 and Tier 2 carriers including Level 3, tw Telecom (CenturyLink), XO Communications (a Verizon company) and FPL Fibernet. Our existing circuits are 'diverse path' and designed for both transport and IP on Gigabit Ethernet. 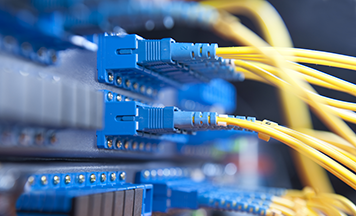 The customers circuits and traffic are closely monitored, at the first sign of bandwidth inconsistencies, our Network Operations Center would send immediate notifications to the customer affected. Customers also have real-time access to their internet bandwidth graphs and can request remote hands assistance 7 x 24 x 365. Carrierhouse is On-Net with our preferred provider’s networks which mean great advantages to our Customers when wanting to connect nationally. Our Customers also have options to contract Point to Point and Point to Multipoint circuits directly from carriers.